According to rumors, the new device family is inching towards an official release and the international prices will be as follows: The Galaxy Tab S 2 8.0 (SM-T710) and the Galaxy Tab S 2 9.7 (SM-T810) will come with price tags of €399 and €499 respectively for a Wi-Fi only unit while the 4G LTE version will cost €90 extra. 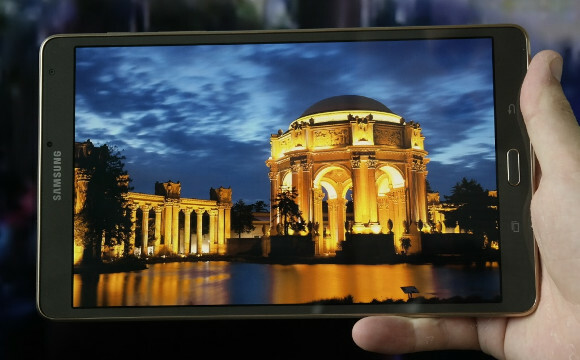 All of them feature a 2048 x 1536 pixel Super AMOLED display, Exynos 5433 SoCs and 3GB of RAM. The rest of the specs sheet includes 32GB of onboard storage plus a microSD card slot and a 3580 mAh or 5870 mAh battery in the 8.0-inch and 9.7-inch respectively. The Galaxy Tab S 2 also promises to be the thinnest Samsung tablet to date, measuring only 237.17mm x 169.58mm x 5.5mm, although this is yet to be confirmed. The Galaxy Tab E (SM-T560) is another upcoming Samsung offer, but meant for the entry-level market. It is already official in Taiwan, but the international pricing wasn’t really clear up until now. It should cost €199 in most markets, which is pretty reasonable. The Galaxy Tab E has a 9.6-inch 1280×800 pixel touchscreen, a 5 MP rear camera, a 2 MP selfie cam, a 1.3 GHz quad-core processor, 1.5GB of RAM, 8GB of expandable storage, and a 5,000 mAh battery. It runs Android 4.4 KitKat and not Lollipop. It’s only got Wi-Fi connectivity, no mobile data, but a separate model with that additional functionality may be launched later.